A charity says that the chain should stop using drugs on all meats globally. 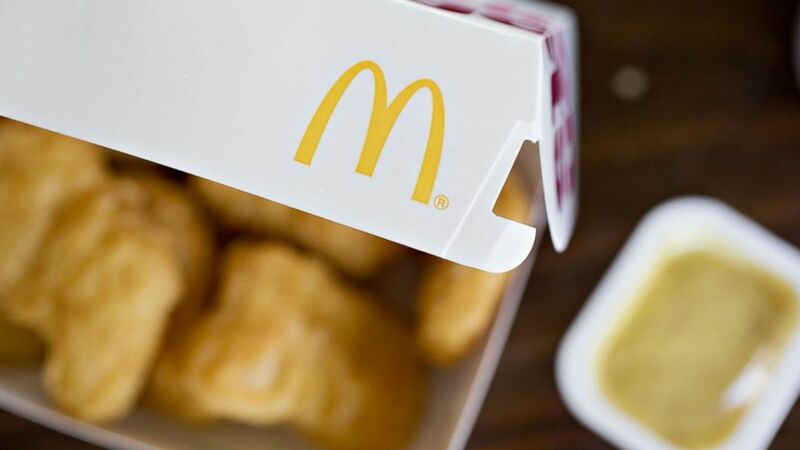 camera (Daniel Acker/Bloomberg via Getty Images) McDonald's chicken nuggets are photographed in Tiskilwa, Illinois, April 15, 2016. A week after announcing that it had phased out the use of antibiotics in its chicken products sold in the U.S., McDonald's is facing calls to do the same for all the meats that it sells globally. The U.K.-based charity, ShareAction, is calling on consumers around the world to email the fast-food giant’s chief executive, Steve Easterbrook, and demand that it stop selling meat treated with antibiotics. Last week the company said it had completed that process, about a year-and-a-half ahead of schedule. In an email to ABC News, Terri Hickey, a McDoanld's spokesperson, said, "We care about this issue and want to use our scale to make a positive difference. We continue to engage with key experts, including some who serve as advisors to the World Health Organization (WHO), to advance progress across the industry." According to the U.S. Centers for Disease Control and Prevention, at least 23,000 people per year die as a “direct result” of infections from bacteria that are resistant to antibiotics.